Jewelry making has always been relatively the same with steady progress over the years. The creation has always worked with the times, but it has relatively kept the same principles in making them. It's still pretty much done by hand with help from machines to assist in the process. All of that changed with the introduction of 3D printers. More and more jewelry displays will be showcasing unique and imaginative designs as if plucked from the most fantastical stories ever written. Couture jewelry designers have it harder. They put in a lot of work that is both slow and careful. They produce delicate, fabulous gem-laden jewelry. The most ornate can take the more talented designers between four to six months to work out one design with their clients; the price gets high as well. In that line of work, it's not unheard of to have more than a dozen people working on it, from artists to suppliers. All to complete an individual ring, necklace, or a pair of earrings. And these experienced couture jewelry designers lose their mind from happiness once they try using a 3D printer. The amazing thing about 3D printing is that it can work with a variety of materials, the same kind that jewelry makers use. It can utilize brass, bronze, silver, and gold. It even comes with the capacity to create different finishes for different looks. 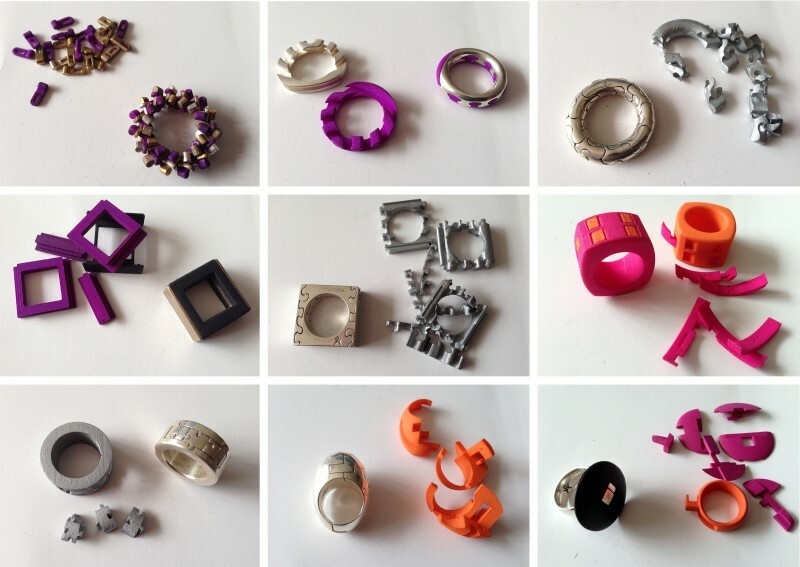 Apart from the metals mentioned above, jewelry makers can also use other like nylon plastic, alumide, flexible plastic, and even ceramics. The designs are all up to you (or your in-house designer). The only limitation is the imagination. And if you have a hard time coming up with a design, several websites provide an abundance of designs or even inspiration. There are even applications that help you create your own. All of this can help you make jewelry that, back then, you can only dream of. All the things that will be designed will be uniquely prices. Using size, volume, and material to determine the pricing. But, it will be more affordable. More importantly, you can already determine the cost even before you print your piece. The best part about it is that with the unique pieces that you will make, you will turn all your jewelry displays into displays of art. Which might encourage people to buy, even more, knowing that they will be getting a one-of-a-kind piece?